Could notches, better cameras, and dark mode be on the horizon? Now that the iOS 12 public beta has arrived, anyone with a sense of adventure (or a spare iPhone lying around) can dive in and check out all the new features months before the general release lands this fall. But while Siri Shortcuts, Memoji, multiway FaceTime, and bundled notifications are all great to play with, the coolest thing about iOS 12 is the sneak peek it gives us at Apple’s next round of products and services. But you have to know where to look. I’m not talking about diving into the code to find slip-ups by Apple’s engineers. You can actually get a pretty good idea at where Apple’s headed just by playing around with the new features and settings in iOS 12. Here’s are my best guesses of what the next round of products will bring based on what I see in iOS 12. One of the major new features of iOS 12 is Memoji, which is something of an reimagining of Snapchat’s popular Bitmoji. But there’s a catch: Memoji is only available on the iPhone X. Since it’s such a centerpiece of iOS 12, that tells me Apple is planning on releasing a wider array of devices with the TrueDepth camera so lots more people will be able to enjoy the customizable Animoji. Granted, it’s fairly obvious that Apple’s latest innovation would expand to more devices, but I think it’s going to land in all of Apple products: iPhones, iPads, and... wait for it... Macs. Memoji are too much fun to be constrained to the iPhone X.
FaceID is tailor-made for Mac security, but it’s Memoji that seals the deal. 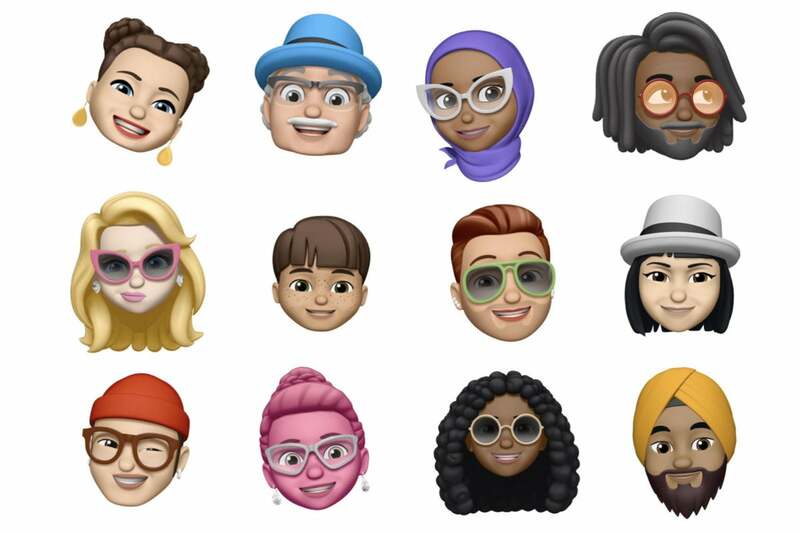 For a Memoji to truly become your Apple avatar, it needs to be accessible across all of your devices, and I’m willing to bet all of Apple’s products will have TrueDepth cameras by WWDC next year. The iPad and iPhone have always shared a visual similarity, but the iPhone X changes that. With no home button, slim bezels, and a camera notch, the iPhone X barely resembles the iPad anymore. But if iOS 12 is any indication, that’s going to change soon. There are two clues in the beta: the first is the position of the Control Center, which has moved to the top right of the screen (the same place it is on the iPhone X), and the status bar, which no longer puts the time in the center of the screen. That tells me Apple is experimenting with different layouts to accommodate a notch on the home button-less iPad. There’s a new default app on the iPhone called Measure. As you might have guessed by the name, it’s a ruler app, but there’s a whole lot more to it. Powered by ARKit 2, the app lets you use the iPhone’s camera to measure pretty much anything it can see. It’s bound to come in handy but it’s still kinda awkward to hold your iPhone and tap the screen to as you go. But it would be killer with a set of AR glasses. And if I was skeptical before, I have no doubt now that they’re coming. I’ve used Google’s Measure app on Android and Apple’s is far superior: the tracking is smoother, the controls are more intuitive, and best of all, it’s installed by default. This is the biggest clue that Apple is working on a dedicated device: It wants people to be familiar with AR. By making Measure one of the stock iOS 12 apps on all iPhones, Apple is pushing AR to the masses for the first time, an important step to releasing a dedicated device. It’s easy to make the connection between macOS Mojave’s Dark Mode and iOS. 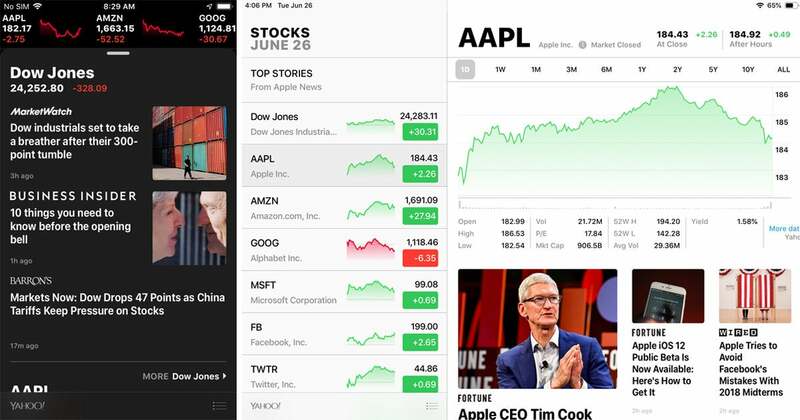 But there’s a clue in iOS 12 that Apple is developing one for mobile screens too: the Stocks app. With interactive charts, intuitive searching, and a dedicated News screen, the new Stocks app a dramatic improvement over the prior app, but what really stoked my curiosity is that there’s finally a version for the iPad too. The new Stocks app makes it seem like Apple is testing light and dark modes of iOS. And it’s white. The charts and the news are all the same, but instead of a dark background it has a light one. Maybe I’m looking into it a bit too much, but the two version of Stocks suggests to me that Apple is experimenting with dark and light themes in plain sight, and it’s only a matter of time before it flips the switch. Like before, the iPhone version is dressed in gorgeous black, including the News tab, and it’s a great preview of what a dark theme would look like in iOS. Remember when Steve Jobs tested Keynote in plain sight for all those years? This could be the same thing. Apple promised that iOS 12 would increase the performance of older devices, and if my iPhone 6s is any indication, it’s delivered in a big way. But more importantly, Apple seems to have learned a valuable lesson with iOS 11: People care about their old devices. Whether or not Apple sells 50 million iPhone X’s a quarter is irrelevant. Most people are keeping their old iOS devices around and use them regularly, whether it’s as an Apple TV remote or a device for the kids. I’ll admit, I took Apple’s promise of a performance boost with a grain of salt, but anecdotally, my iPhone 6s is noticeably faster. As I write this I’m looking at 51 percent battery life after about four hours of use. That’s not great, but under iOS 11, my iPhone 6s would have been dead by now. (I know, I need to get a new battery.) If Apple can significantly boost the performance of a three-year-old device with a few code tweaks, imagine how long they will last once it starts paying attention to them before they’re nearly obsolete.